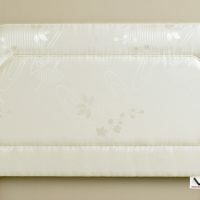 The space age technology Visco Elastic 8″ mattress has been carefuly designed and manufactured to give you greater comfort and therefore has been known to reduce the number of times your body is likely to toss and turn during sleep. 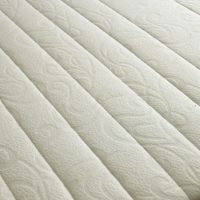 With its unique sensitivity to temperature the micro-quilted mattress instantly contours to your exact body shape. This lessens the pressure from the more prominent parts of your body such as shoulders, back, hip, knees and ankles. 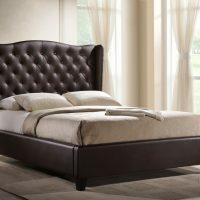 Beds are available in the following sizes: 2’3″, 2’6″, 3′, 3’6″, 5′ or 6′. State of the art upholstered 8″ base with a chrome set of legs. 2'3" x 6'6" 2'6" x 6'6" 3'0" x 6'6" 5'0" x 6'6" 6'0" x 6'6"